Bus Accidents: What is My Case Worth? With numerous lawyer and law firm commercials containing actors and actresses claiming that their case was “worth” a certain amount of dollars, it is little wonder that most bus crash injury victims that come into a bus accident attorney’s office wanting to know what their case is worth. On the surface, this appears to be an entirely legitimate and easy-to-answer question. Some victims and their families will become upset when the lawyer does not give them a straight answer. But the truth is that determining what your case is worth involves complicated calculations and a lot of educated guesses. This does not mean you cannot know what your case is worth; rather, it means that the calculation involves the consideration of a number of factors. What do you mean by “worth”? You must first be clear about what you are trying to measure. Are you wanting to know the maximum amount of compensation you might be awarded (or the minimum)? Are you wanting to know what you should settle your case for – your case’s “settlement value”? Are you looking to find out how much compensation you can actually expect to receive? Identifying the precise value you are looking for will help determine what other factors you need to consider. What are your economic losses? Economic losses describe things such as medical bills, lost wages, and property damage. These are the losses for which there is a bill, a pay stub, or some other objective evidence describing the extent of your loss. What are your noneconomic damages? Noneconomic damages cover things such as mental pain and suffering and loss of enjoyment of life – things for which there is no receipt or objective supporting evidence. Many states put a limit on the total amount of noneconomic damages you can seek through a lawsuit. What are your likely expenses? In addition to attorney’s fees, you can expect to spend some money paying for filing fees, copying fees, depositions, forensic testing, and other such expenses. These expenses are necessary to prepare your case for trial but will take away from any award you actually receive. Do you have a good case? If your case is one in which fault is obvious, the value of your case will be higher than it would be if it was unclear if the defendant caused or contributed to your injuries. The more certainty there is in your case regarding fault and causation, the more valuable your case becomes. Do you have a good attorney? Bus accident cases involve complex evidence. Attorneys who do not regularly represent bus accident victims may be at a disadvantage going against experienced defense attorneys working for the bus companies. If your attorney is not well-suited to representing you and your interests in this specific arena, your case’s value may suffer as a result. 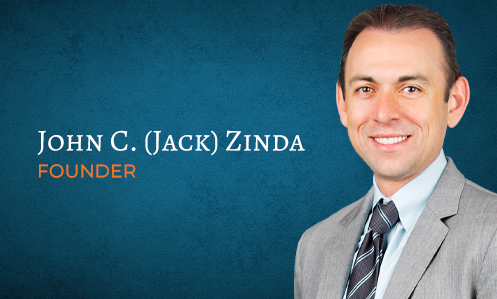 At Zinda Law Group, our attorneys have represented numerous bus accident victims. Regardless of whether the crash resulted in the death of the victim or the victim escaped with minor injuries, we give our clients’ cases the same level of attention and pursue their claims with the same level of dedication. Our knowledge of bus accident cases helps us give our clients a realistic and honest assessment of the “worth” of their case: what compensation they are likely to receive, what expenses they can expect to pay, and how circumstances and factors beyond our or the client’s control may impact these estimates. Let us help you recover financial compensation following a bus accident. Contact our offices today at (800) 863-5312.